On this day in history, June 19, 1778, the Continental Army leaves its encampment at Valley Forge in pursuit of the British Army. British General William Howe had captured Philadelphia in September of 1777. George Washington's Continental Army had tried unsuccessfully to defeat the invading army at the Battles of Brandywine and Germantown. Many skirmishes took place around the city for a few months between the two armies, but when the dead of winter hit, General Howe decided to settle the army in for the winter. Washington located a defensible location on the Schuylkill River about 25 miles west of the city at Valley Forge, named after a local Quaker forge. The location was protected by the river and some creeks and was high enough to allow a view of the surrounding area. The winter at Valley Forge was miserable. Of the 12,000 soldiers encamped there, up to a fourth may have died from sickness and disease. Food and clothing were chronically short. Soldiers stayed in makeshift log huts with sheets for doors. The winter was one of the worst on record. Things began to change though around March. The Prussian, Baron von Steuben arrived and started training the soldiers in military maneuvers and reorganizing the camp. General Nathanael Greene, arguably Washington's most capable general, was made quartermaster general, meaning he was in charge of procuring supplies. He immediately began building roads and bridges and the supplies started rolling in. A group of bakers was organized under Philadelphia gingerbread maker Christopher Ludwig and the soldiers started having adequate supplies of bread to eat. In April, the shad season began on the Schuylkill and there was fish to eat. In May, a wave of encouragement swept through the army when it was learned that France had joined the war on the American side. This meant more troops, money and armaments with which to fight the British. The entrance of France into the war also spelled bad news for the British. General Henry Clinton, Howe's replacement, was forced to abandon Philadelphia because the French fleet could easily blockade his army in the city. 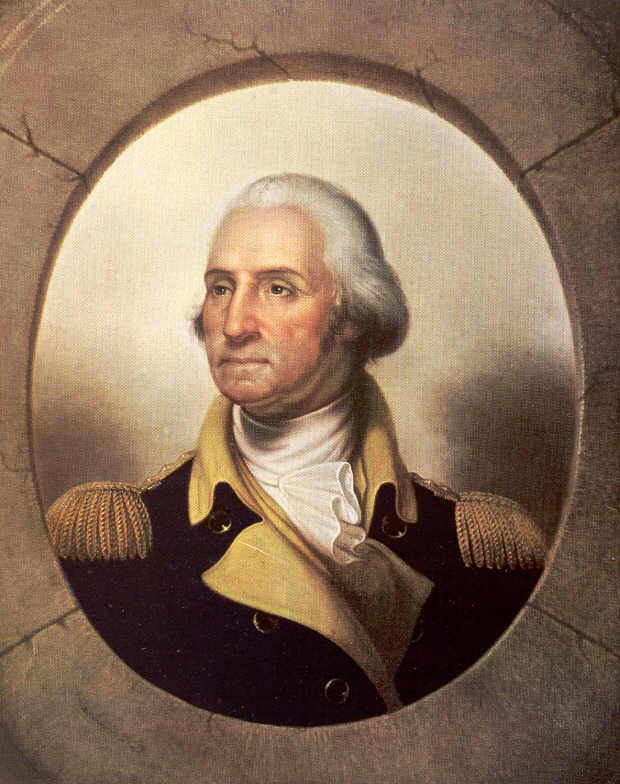 He elected to march his army back to New York, leaving Philadelphia on June 18. Washington was already aware of Clinton's plans and had the army ready to move. 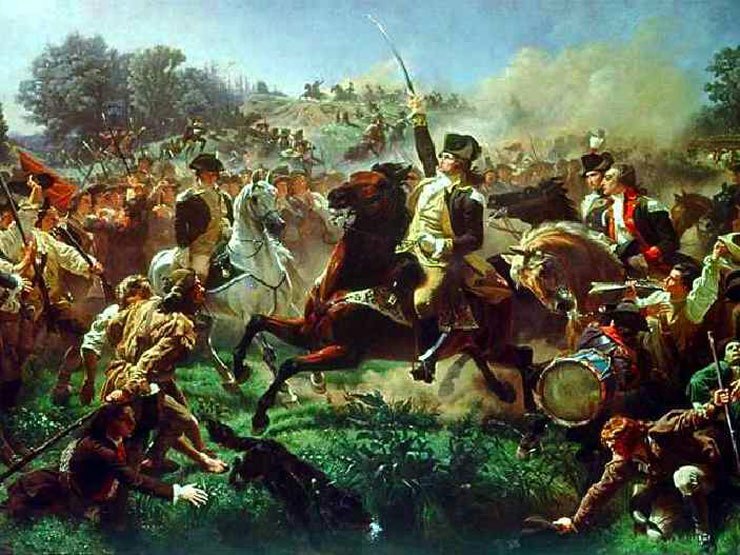 As Clinton marched across New Jersey, the Continentals abandoned Valley Forge and engaged the British 9 days later in the Battle of Monmouth Courthouse, one of the largest and bloodiest battles of the war. This battle was technically a stalemate, but the Continentals, which before this time had not been able to fight successfully in open battle against the British, proved that von Steuben's winter training had paid off. The British were drawn to a standstill in the fight and eventually chose to retreat back to New York. After this, the battle would shift to the south and Washington's northern army would not face the British again until the Battle of Yorktown in 1781, a battle which they would win decisively and would bring the war to a close.